I finished the first star quilt. I decided to try it on the machine. I must confess I really hated it! I have only done one other machine quilted quilt so I am sure I would have liked it more if I was better at it…and if I had a walking foot….and didn’t use junk batting that I had on hand…. Be that as it may it was enlightening. 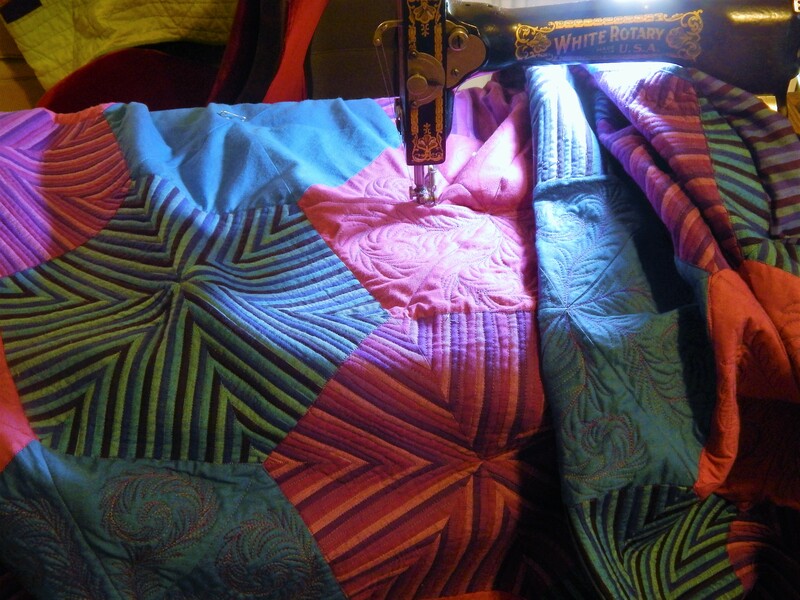 I have done so may hand quilted quilts that it felt like it would have been so much easier to do it by hand. Im sure machine quilters would feel the same after doing one by hand. Anyway I did really simple straight line quilting. I like the addition of the stitching. 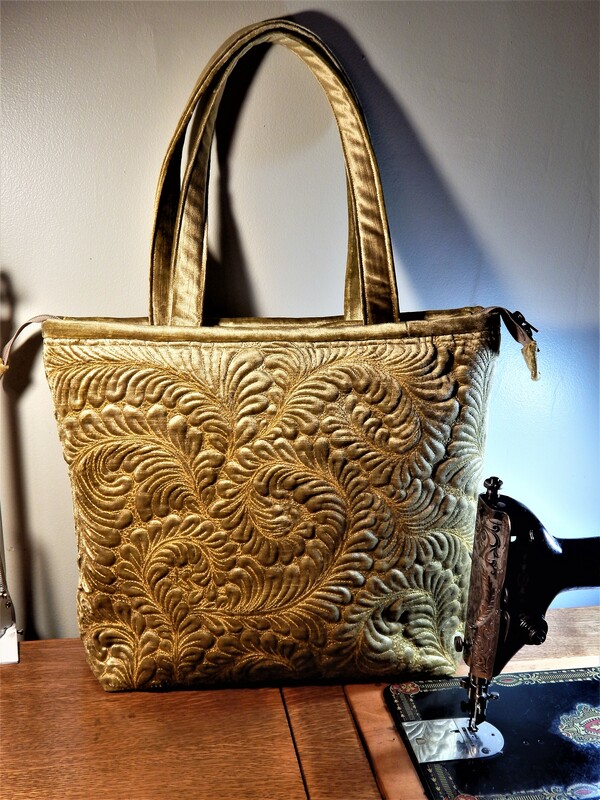 It would have been great in silver metallic thread but I used what I had ….white . I even used the decorative stitch to sew on the binding. The newest issue of Quilters Newsletter came yesterday. 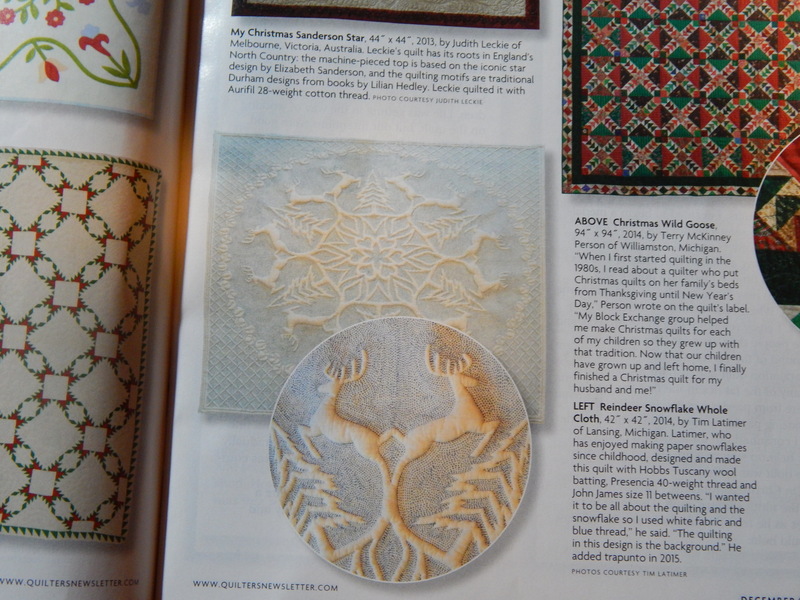 My reindeer snowflake quilt is on page 19. He is feeling fine today but I don’t imagine he will be happy to go back to see the vet again any time soon. Yay! Well done for being featured in the mag. And many slow, sympathetic strokes to Teddy, little stalwart that he is. And we all know he is, after all, priceless. 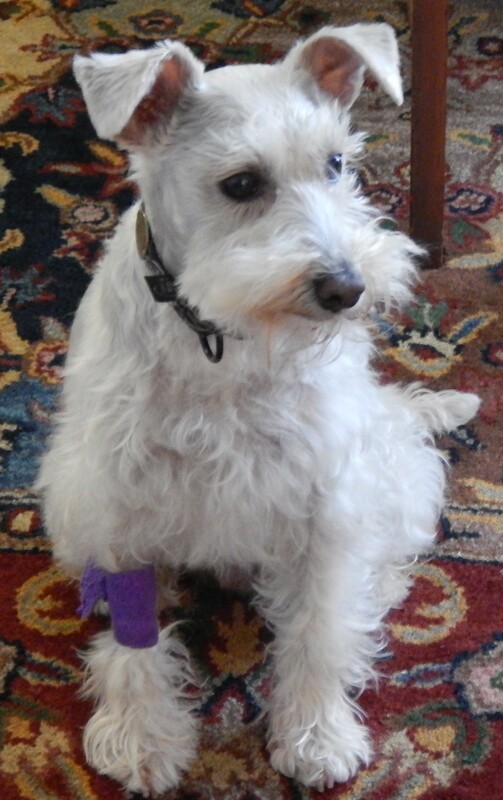 Eli, my white mini schnauzer that I have written to you about & could be Teddy’s twin, is on Nutro Ultra Weight Management. He has been on that since I got him almost 2 years ago and he has quit scratching, his coat is shiny & luxurious. You might want to try feeding him that. Yes have tried many shampoos, but his problem is seasonal….fall and spring…..so it isn’t food or shampoo since they are year round items….. I had a Jack Russell that would lick all the fur off her feet if she ate people food. I love your handquilting. I have acquired a grace frame and the first one I want to do is a rescued quilt and I am using the bigs stitch method! Oh, poor Teddy! Good thing that dogs live in the moment. He probably put that vet visit behind him hours ago! I’m with you on machine quilting. I only do it if I have to. And that would probably change if I stuck with it, but somehow it just doesn’t appeal to me. I think most quilters gravitate to their favorite aspects of quilting. Thanks for sharing your star quilts. Nice star and congrats on the Reindeer issue! Hope Teddy finds relief! I just finished machine quilting a lap size quilt. I was so discouraged. I have lumps and crooked quilting lines. It was not relaxing at all. 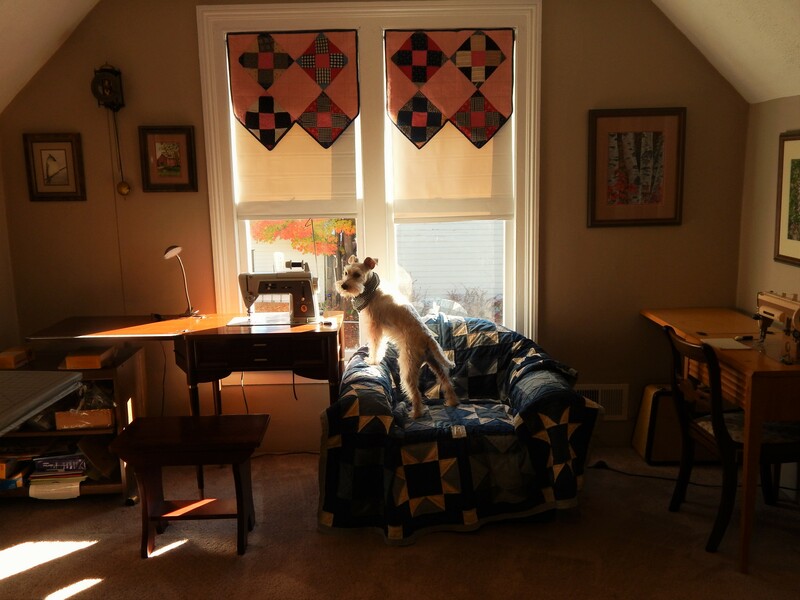 I was going to do my next quilt with my machine because it is 68″ × 78″. However, I’m thinking I’ll do it by hand. Your decorative stitches add a nice dimension. I too am more comfortable with hand quilting than machine quilting. Even though it takes longer. I like the process. It is therapy for me. I can empathize with your feelings about quilting by machine. Even though my skills have improved, I think I will always enjoy hand quilting more. We just placed an order for Dinovite for our Doxie pups. Our male long haired Doxie is going nuts with the itchy skin. The Dinovite company is waiting for an ingredient not in stock, supposed to arrive today, to make more. We have decided to try it. I suppose it won’t arrive until next week at this point. I feel so bad for our little Bowie. I am hopeful of good results. Hope Teddy gets the cure soon too. He is a cute little rascal. 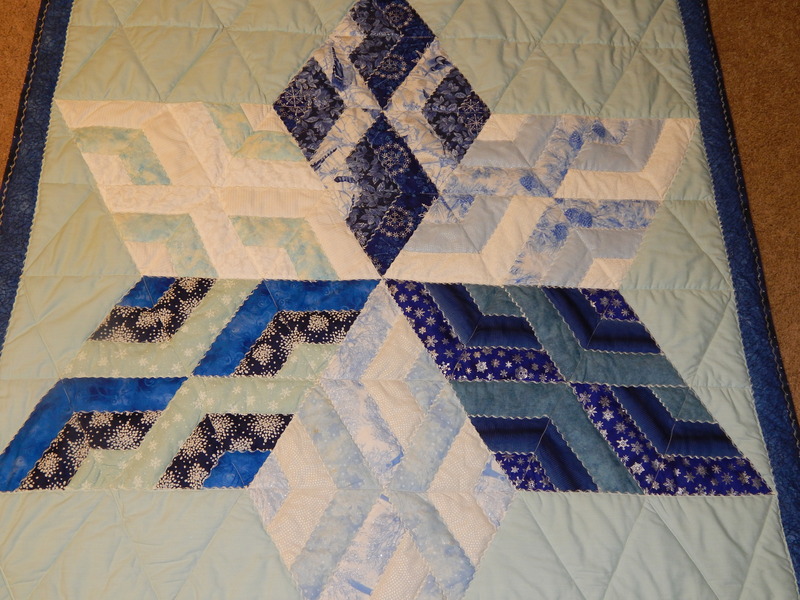 I truly admire your reindeer quilt and had a smile when I saw it in the newsletter edition! I actually admire all of your work and as a new quilter, aspire to perhaps be a successful quilter one of these days:-). You are an inspiration, thank you. Thank you again for all of the help I obtain from your generous sharing of guilting advise! We are pretty sure that Teddy is not having food allergies. His itchy skin is seasonal…..fall and spring and at other times of they year he has no problems and his diet doesn’t ever change, He has never had any ear infections, or other problems, just itchy. I have had good experiences using essential oils on myself and my dogs. For the dogs I only use the ones from “animal eo”. They are formulated by a vet. I too totally prefer the look and feel of had quilting. That being said the decorative stitching on the star quilt looks great. I am so happy for you! 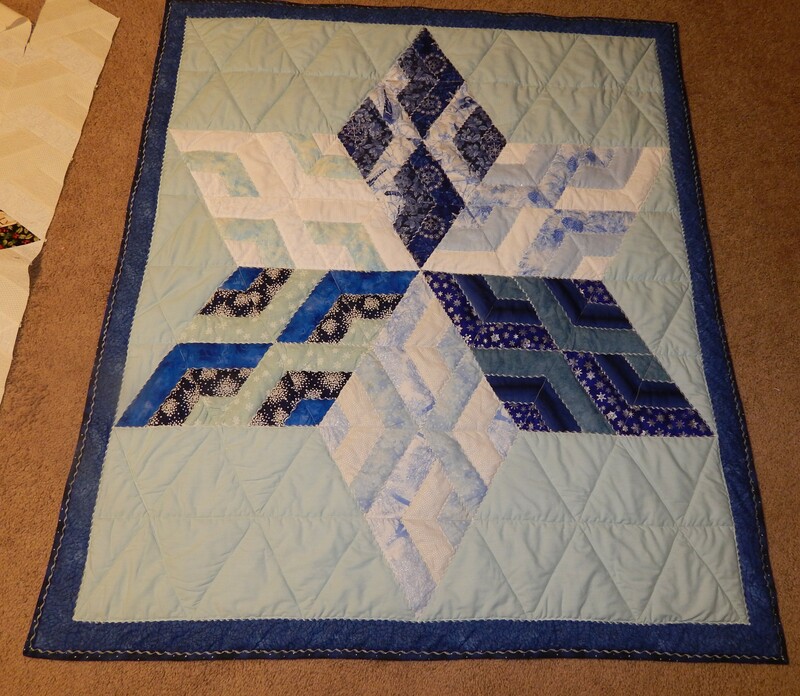 That snowflake quilt is so clever and very beautiful! 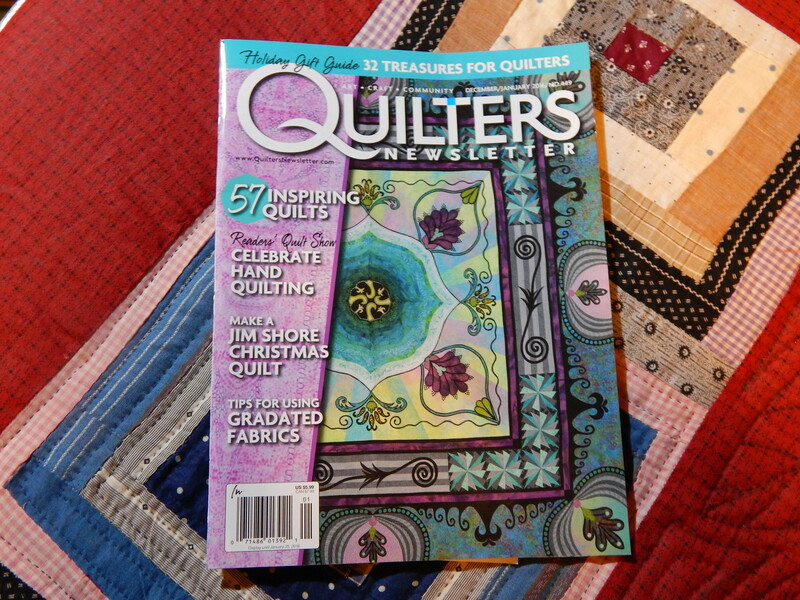 I stopped taking all of my quilting magazines about a year ago, and the one I miss most is Quilters Newsletter. I actually read that one! From cover to cover, so I should renew my subscription. We didn’t get divorced… But it was taxing. I imagine you’d be hell with a long arm! My friend free hands it with hers and does wood grain and sll kinds of textures and designs. hsve you ever played with one? I don’t want one, but I can see you doing amazing things with one. Give mr teddy a Benadryl orally- that’s what I did with mine- it was seasonal with mine-oak leaves and the little seed things that dropped in spring. Go Tim go! Love watching you…. I love your blog site, Tim. Your snowflake is amazingly beautiful and it is so nice to see Teddy. 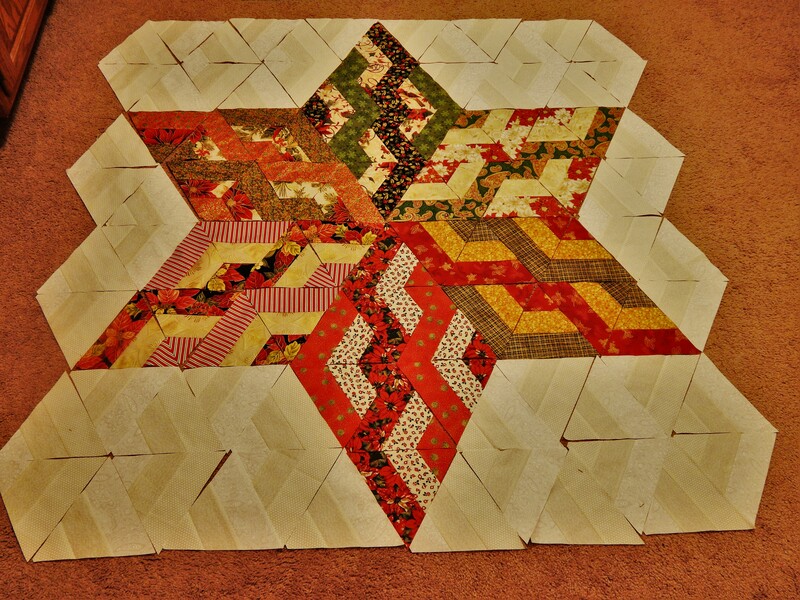 Gorgeous star quilt… very holiday. Sorry Teddy is going through this. Allergies are surely no fun. As several posters have stated, it could have to do with his food and then he could be allergic to grass. Hopefully the testing will discover what’s going on and he’ll be back to himself soon. Congratulations on being in Quilts. You are achieving some wonderful things. Yea!!!! for hand quilting there’s nothing more wonderful😄! Sorry that Teddy is having allergies. As others have posted he may be allergic to the food and also the grass. He’ll be okay soon. Congratulations on your wonderful quilt being in Quilts. Poor Teddy. I hope they find his itching problem. I have to agree with you about the machine quilting. I have only done it a couple times and I hated it but I’m sure it was because of the one doing the stitching. I have a better machine now with a walking foot but I am scared to try to machine quilt on something that I really like. It’s just easier to hand quilt even though I don’t get nearly as many things done. The star quilt is very interesting and I love the Teddys but I am really fascinated by the curtains. Think I will be using that idea. Probably need three of them in my bedroom/sewing room. Thanks for your inspirations always. A walking foot is a MUST for machine quilting with success! I do both hand and machine quilting, and some quilts with both! I’ve even managed the gentle curves of a Winding Ways quilt with the walking foot. I haven’t mastered free motion quilting yet, but know that practice makes perfect (as I told my piano students over and over again!). I find that wrestling a full size quilt around on my home sewing machine is very tiring, and have done a couple in sections. 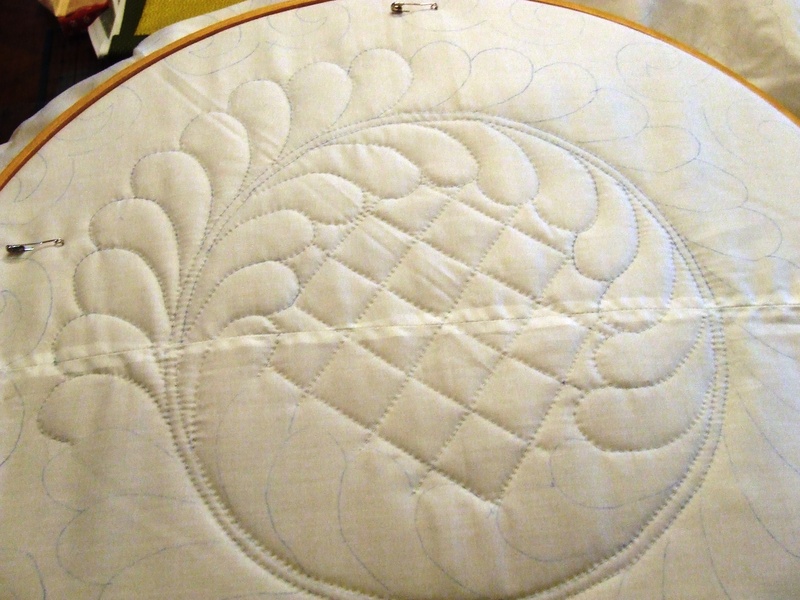 But my preferred form nowadays is hand quilting in the “big stitch” style. A good way to practice machine quilting using a walking foot might be to make place mats. I liked the decorative stitching on the stars, and agree that silver would have been smashing! 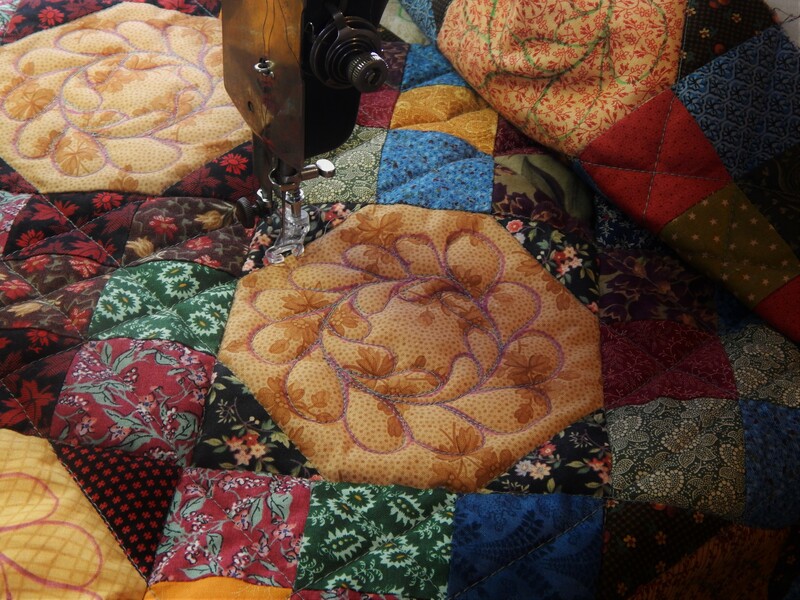 Your description of machine quilting brought back memories! And a few smiles. I thought the same things when I first decided to try it. It did NOT come naturally. I persevered and now love it. 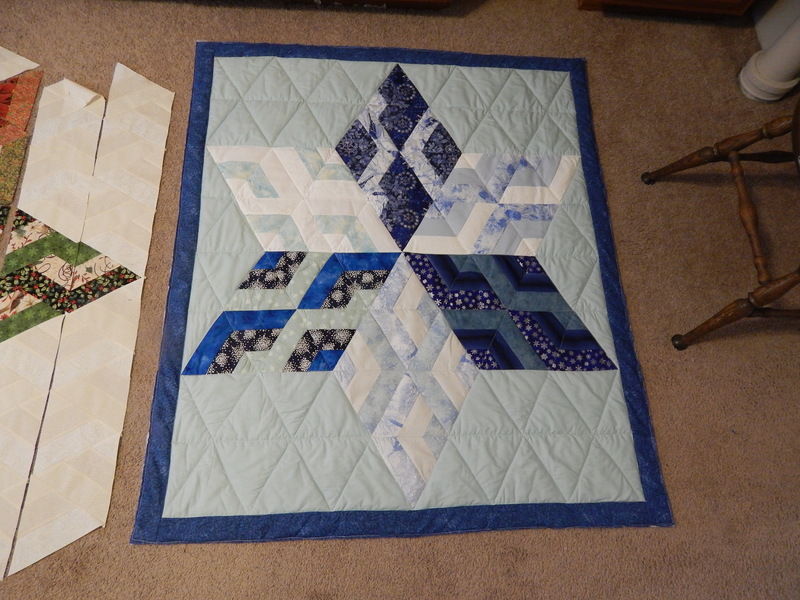 But I don’t compare my enjoyment of it to hand quilting as they are done to different quilts in different settings.